This 1956 instrument from the manufacture d‘orgues luxembourgeoise G. Haupt has a broad variety of foundation voices. Of the nine keyboard voices, five are located in the eight-foot-area. The flue voice Dulcian 8’ is a rarity in the local organ landscape due to the fact that, from the from the very lowest to the absolute highest note, the pipe is tapered. The two pedal voices are transmittances from Bordun 16’. The missing crown is compensated for by the super coupler II/I. 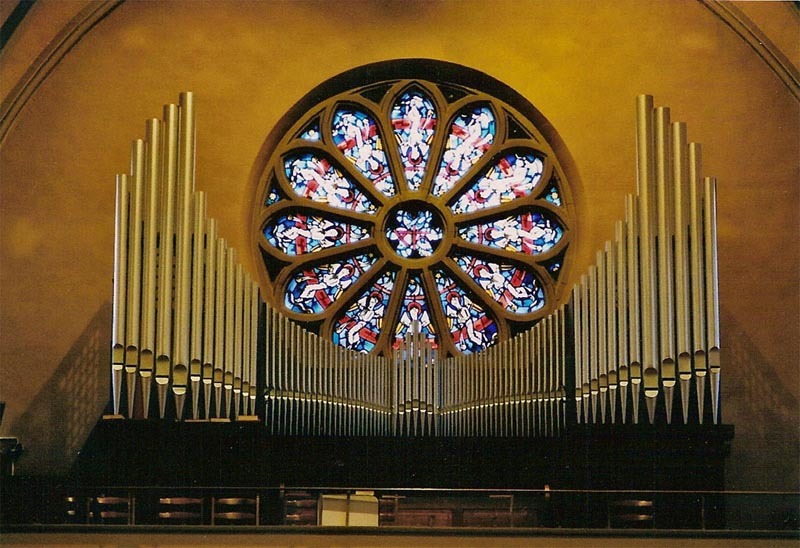 Despite the limited available possibilities, sophisticated organ music is possible, as was proven by Pastor Joel Santer during his musical meditation on Palm Sunday in 2005, where he played the works of Luxembourgian composers of the day. 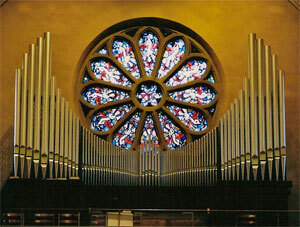 The organ received a general overhaul in 2004.